We are now into the second month of the U.S. government shutdown, marking the longest government shutdown in history while also affecting approximately 800,000 federal employees who are not receiving paychecks. This is affecting the U.S. population in a negative way as President Donald Trump promised more job opportunities during his presidency, but is now withholding pay for federal employees. The government shutdown began in the early morning on Saturday, Dec. 22, due to the inability of President Trump and Congress to reach a compromise regarding Trump’s demand for a $5.7 billion border wall. This is making it increasingly difficult to get employees of the federal government to show up for their shifts since they are not receiving pay for being there until after the government reopens. 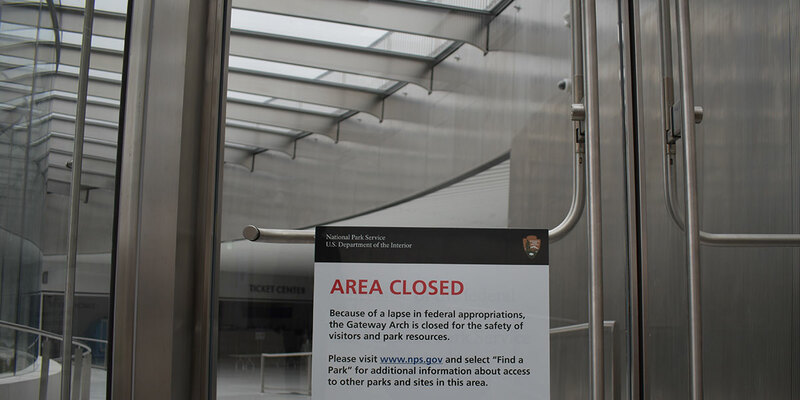 The Environmental Protection Agency ran out of funds Dec. 28, 2108, and laid off around 95 percent of its staff, not to mention closures of state parks, the Smithsonian museums, National Gallery of Art and hundreds of Transportation Security Agency workers calling in sick instead of working without pay. If the shutdown continues another week, members of the U.S. Coast Guard will be without pay, federal district courts will run out of funds and federal workers will miss another paycheck. Employees of the federal government are still expected to go to work without receiving pay until after the government opens again, making it extremely difficult for people living paycheck to paycheck or on limited savings. The government shutdown is one of many tactics President Donald Trump is using to force Congress and the Democratic Party to fund his border wall. Many disagree with this tactic because instead of “making America great again,” it is setting the American people back by omitting their pay to keep up their livelihood. The government shutdown occurred because of a spending bill, which, according to a BBC article, had to be passed by Congress and signed by President Donald Trump by midnight on Friday, Dec. 19, 2018, which did not happen, effectively closing the government’s doors. For the public, this means government workers will not be paid, so many of them are not going to work. This is affecting government workers who have families by causing them financial instability. It is also causing customer service at certain public government establishments to be non-existent. Both the U.S. Congress and the president should work to reach an agreement and allow the government to reopen. In the future, government workers should not be punished by losing their pay as a result of disagreement between Congress and the president. I think it’s a childish game being played with over 800,000 working Americans being used as weapons against Congress. With federal workers going unpaid and unused, the nation’s morale is hindered alongside the economy, and this has inhibited our country’s growth. It is thanks, in part, to the immoral behavior of our president. He is blind to the fact that half the country does not feel the same way, but instead of changing course, he shut down the government. Congress declined to increase funding for border security (the wall) and the president then stated the government would remain shut down until his border security received funding. “The government remains shut down for one reason and one reason only. Because Democrats will not fund border security,” Trump said while addressing the nation. Here is a video link to that address. I think the message President Trump wants to portray is shadowed by his arrogance and carelessness. This is simply another reason to hate Trump. But supporters of Trump seem to be careless in their own nature. If you care about a president that’s one thing, but to blindly go along without carrying any of their own knowledge is only hurting their side of the argument. Supporter or not, be informed about what you stand for. And if you stand for nothing then sit down because there is no winning unless there is a team behind you. That’s just politics. The government shutdown should end immediately, and instead of threatening so many jobs, be the person you say you are. Illegal Immigrants are going to find ways into America. The best we can do is slow them down. You can’t dam the sea Mr. President. A government shutdown is dangerous for the national security of the United States. I understand there may be times when it is necessary, but the nation has survived this long without a border wall, so it’s clearly not vital for our safety. The shutdown was caused by a disagreement between Congress and President Trump regarding the 2019 budget with the inclusion of a $5.7 billion spending bill for President Trump’s desired border wall. The safety and health of the public across the country have been threatened since the first day of the government shutdown. The Food and Drug Administration cut off all cycles of inspections on Dec. 22, 2018, which was the first day of the partial government shutdown. I am reminded of the E. coli outbreaks the U.S. suffered in 2018, which was traced back to romaine lettuce from California. The public cannot be protected from potential risks such as the E. coli incident without the FDA’s provision. This is just a glimpse of how the public has, can and will continue to be affected by the government shutdown. The reoccurring thought in my head is that our nation was originally populated mostly by immigrants and foreigners, starting in the 1600s with the Pilgrims. I don’t believe a wall will benefit us, but simply cost us billions of dollars. I also think it is unnecessary to shut down the government, especially since government employees have already missed paychecks.